The question was raised on the GHQ forum about how I transport and store the thunder run game boards. So I thought I would post a few pictures to show you. 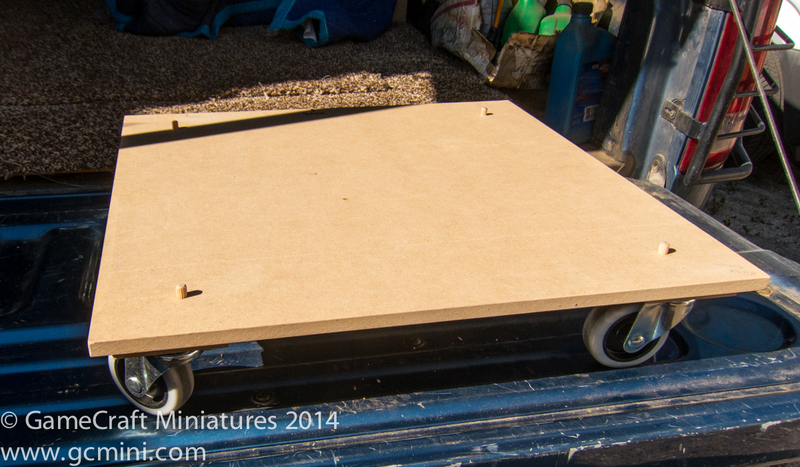 First there is a flat board with four casters on it and four small wooden dowels sticking up out of the base which fit into four holes on the bottom of the first shelf unit. That first shelf unit also has four small wooden dowels coming out of the top of it which fit into the holes on the bottom of the top unit. 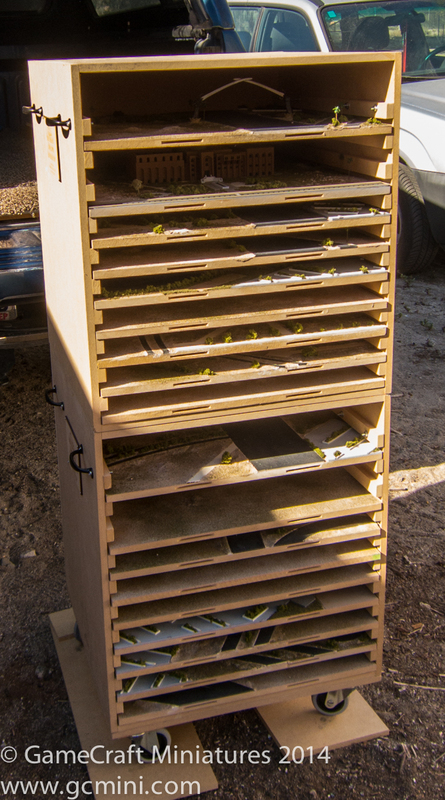 This arrangement makes it very easy to transport these boards in the back of my truck, or possibly even a small car. Once I get to the venue I just stack the boxes on top of the base, and wheel the whole assembly inside. This entry was posted in Game Boards and tagged Game Boards, Rack, Trasportation by Allen. Bookmark the permalink. Thank you for sharing how you transport/logistics the Thunder Run terrain to a convention and back.